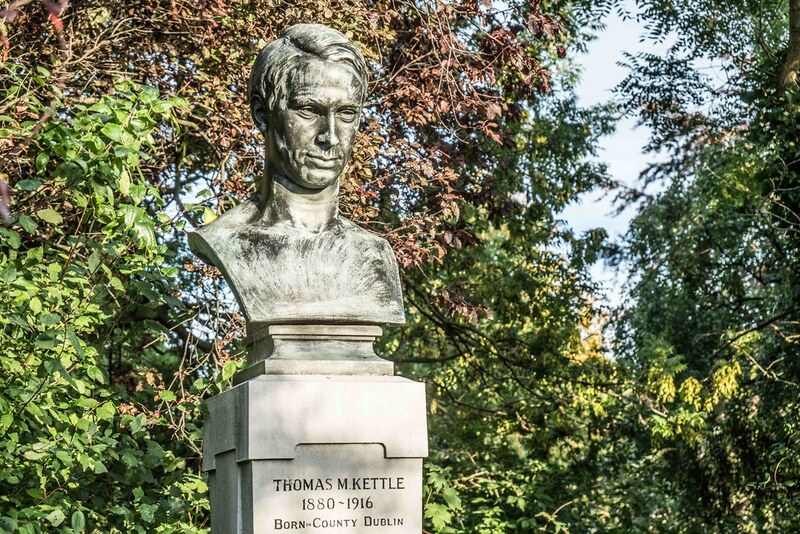 Thomas Michael "Tom" Kettle (9 February 1880 – 9 September 1916) was an Irish economist, journalist, barrister, writer, poet, soldier and Home Rule politician. As a member of the Irish Parliamentary Party, he was Member of Parliament (MP) for East Tyrone from 1906 to 1910 at Westminster. He joined the Irish Volunteers in 1913, then on the outbreak of World War I in 1914 enlisted for service in an Irish regiment where in 1916 he was killed on the Western Front. He was a much admired old comrade of James Joyce, whom considered him to be his best friend in Ireland, as well as the likes of Francis Sheehy-Skeffington, Oliver St. John Gogarty and Robert Wilson Lynd. 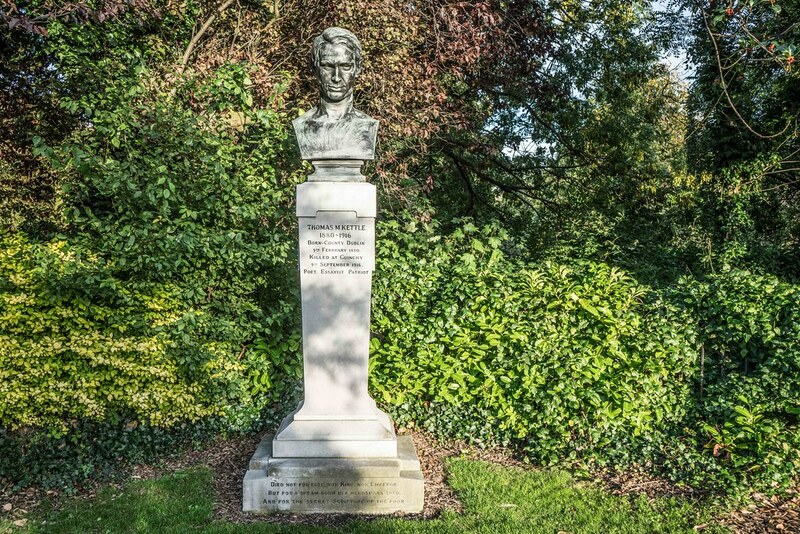 An attempt to erect a commemorative portrait bust of Kettle was beset by controversy due to historical debate until it was finally placed, albeit without official unveiling, in St. Stephen's Green. His name is inscribed on the Thiepval Memorial in France, a stone tablet commemorates him in the Island of Ireland Peace Park, Messines, Belgium, and he is listed on the bronze plaque in the Four Courts Dublin which commemorates the 26 Irish barristers killed in the Great War. 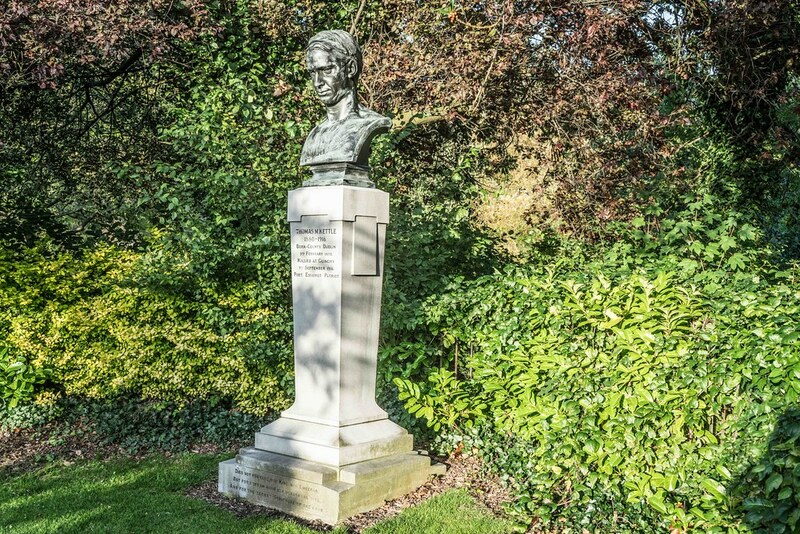 The Literary and Historical Society (University College Dublin) have historically held an annual wreath-laying ceremony at the bust in St. Stephen's Green.